Rose Eveleth, a writer and producer who explores how humans tangle with science and technology. She’s the creator and host of Flash Forward, a podcast about possible (and not so possible) futures, and has covered everything from fake tumbleweed farms to million dollar baccarat heists. Molly McLeod, a freelance artist, designer, and creativity coach who does a different daily art project every month. Her work helps people express themselves, connect with their communities, disconnect from technology, and reconnect to what really matters to them. Bobbie Johnson, a journalist, publisher, and the editor-in-chief of Anxy, a beautiful, award-winning mental health magazine that opens up the inner worlds we often avoid sharing. 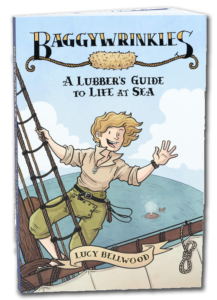 I’ve dreamt of doing an event at the Pirate Supply Store for well over a decade, and I’m really really looking forward to digging into the Real Business with these fine friends. I will, of course, record the conversation and share it for my supporters on Patreon after the event, but I’d love to see you there in person. Details are coming together for a writer’s workshop (and tour stop) in San Diego around August 15th. There’s also Colorado stuff in the cards after I stop in Texas. Phew! If you’d like to keep up with all the tour shenanigans, Instagram is a good way to do it. I try to post regular updates to my Story there about what’s been going on. Hope to see some of you on Wednesday! Even though the resultant volume is pretty heavy reading, my hope is that people found it helpful to see visual proof that they weren’t alone in their fears. We can get through this together. Thanks for keeping up with this wild and crazy endeavor! I’m looking forward to visiting some new places and returning to old haunts over the next few months. 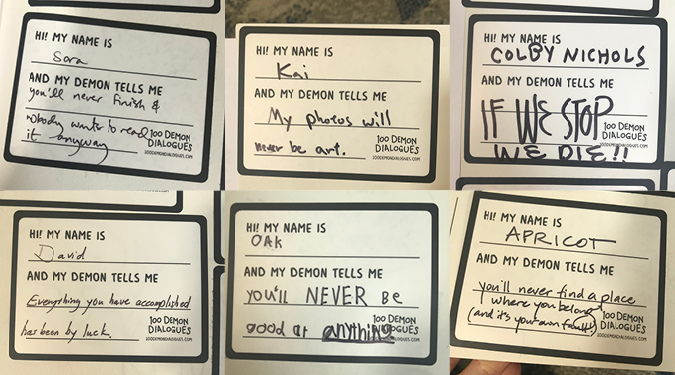 Due to Some Nonsense, the official in-store release date for 100 Demon Dialogues got pushed out to July 19th (although I heard some comic shops got their copies this week). If you’d like to encourage friends and family to buy a copy in the meantime, you can get both soft and hardcover editions (and Demon Plushies, stickers, postcards, and prints) from my own online shop. This is actually the best place to send folks, because more of the profit goes back into supporting my work, but I also want everyone to be able to get the book from their local shops if they so choose. Keep your eyes out next week for wider availability in stores! Sound the trumpets, y’all. 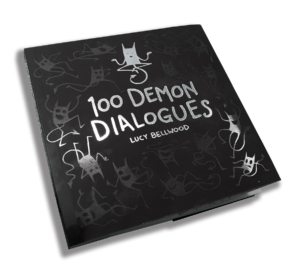 I’m taking my latest collection of comics, 100 Demon Dialogues, on the road for the next two months! This has been a whirlwind season of planning, and I’m so glad to be at the point where I get to share it with all of you. East City Bookshop – June 29th, 6:30-8:30pm, Washington, D.C.
We’re lining up Leg 2 right now, which will likely take me through Texas, New Mexico, Colorado, and allllllllll of California a little further into July and August. If you have friends in any of these cities and would be willing to pass event details along to them, I would be forever in your debt. All the tour stops are listed in this handy directory. I’m really excited to see how this develops over the tour. I think it’s going to be amazing. 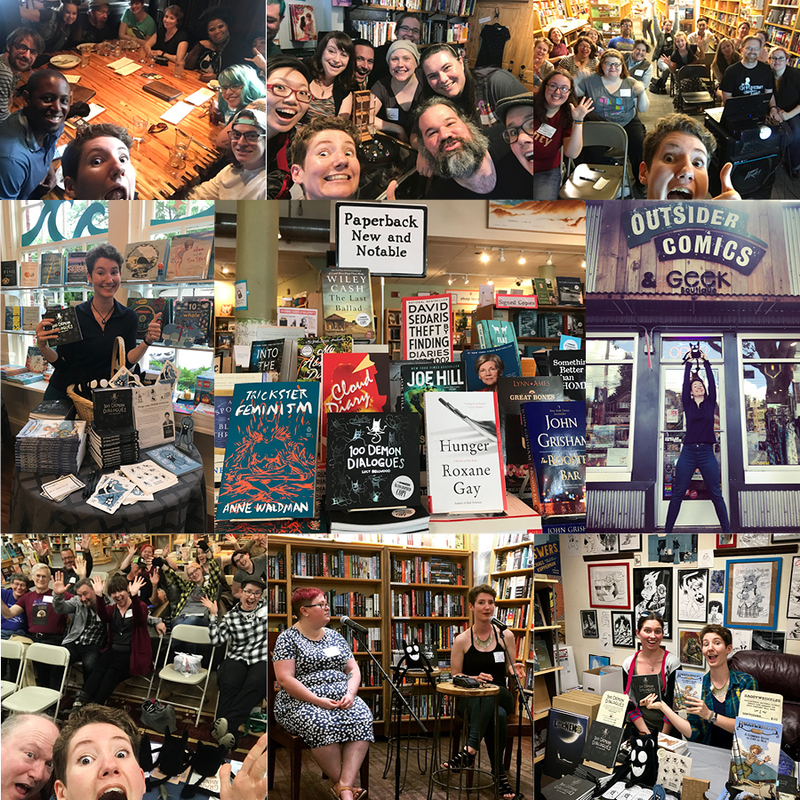 Their eyes widen like they’re picturing private jets and limousines, booksellers laying stock to be signed at your feet, adoring fans queued up out the door. They congratulate you—assuming you have “made it.” You try not to let the lunatic edge invade your laughter as you thank them, unable to explain that they are wrong. The truth is, you’re about to spend two months sleeping on couches and washing your underwear in the sink. You’re three months past the date any “real” author would’ve had their tour stops booked by a publisher, but you’re emailing venues anyway because you got yourself into this glorious mess, and you love it, and it’s time to go big or go home. You fill pads of paper with train times and bus lines—an endless game of Cheap Travel Tetris. You schedule posts on every social media platform known to man, but still manage to avoid updating your own website. You learn that the barcode doesn’t scan properly on your entire print run of books. You make a lot of phone calls and hope you can fix everything before the ship date. You whoop with delight whenever a venue confirms, then falter when you see all the other, more impressive authors on the week’s lineup. You realize those authors may feel just as fraudulent as you do. You set up endless Facebook events, cripplingly aware of how often you ignore invites from everyone else. You find out exactly how many of your friends live in Minneapolis. You worry nobody will come. You worry everybody will come. You throw yourself on the kindness of the Internet—your people, your tribe, your network. They offer rides, couches, venues, connections. You recognize, again and again, that you are nothing without them. It will feel like a miracle any time you meet a flesh and blood human being who knows your work. These moments of connection will pile up behind your sternum. They will turn your abstract Twitter followers into live heartbeats. Two months from now you know you’ll come home changed.